For a man with a memorable career that spans three decades Albert Brooks doesn’t seem to have that many credits to his name in IMDB. The writer/director of Real Life, Defending Your Life, Mother, and Looking for Comedy in the Muslim World has brought us only a handful of films, but they are all memorable for the characters and social insights they bring to the screen. 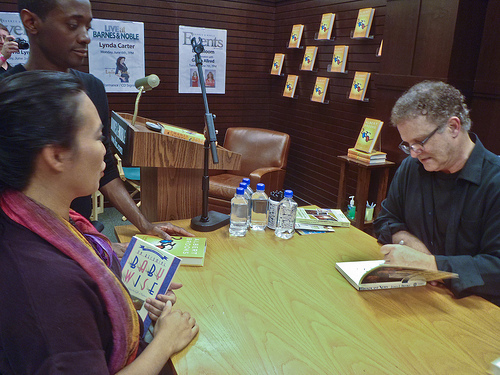 For his most recent work, he has dropped the ‘director’ part of his title to deliver us his first novel, 2030: The Real Story of What Happens to America, a remarkably prescient bit of futurism that will deserve a revisit two decades from now. 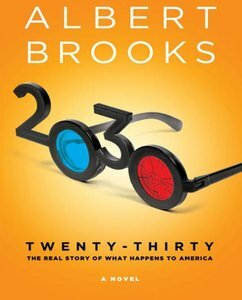 Many of the overwhelmingly positive reviews of 2030 on Amazon describe Brooks’ futurist portrayal of the United States with words like “dystopian” and “black comedy,” but I felt these terms undermine the dire warnings about America’s direction the book presages. There was nothing comedic, even darkly comedic, about the situations in which Brooks’ characters find themselves, only tragedy. To call the world Brooks foretells “dystopian” makes it sound fantastical, extreme, like George Orwell’s Nineteen Eighty-Four, but everything Brooks describes is not only plausible, but predicted by economic, political, and historical experts in the media on a weekly basis. 2030 is a work of science fiction, but only minimally. Brooks does a great job predicting the tech of the future in that he simply extends the tech of today. Information technology has gone a little further, with more sophisticated GPS devices, more advanced electric cars, real time translation devices, movie theaters that use streaming video, rudimentary robots that are basically animatronic real dolls, and other innovations that are easy to envision from where we stand today. Good science fiction uses technological innovations to explore ideas and concepts that speak to our own time, and Brooks takes our current tech to its logical next step to convincingly paint a world of very real social dilemmas the United States will face two decades from now. 2030 takes place in an America with debt so unimaginable that, while a figure is only hinted at, when “the big one” finally hits Los Angeles and all the insurance companies declare bankruptcy rather than handle the deluge of claims, America is faced with the prospect that the city must be abandoned and its citizens relocated to other cities because there is no way to fund its reconstruction. In this very plausible future, politicians are legislating all they can to keep the country going long enough so that the Baby Boomers can continue to enjoy the lifestyles to which they are accustomed at the expense of the following generations’ quality of life. This is the core social conflict of Brooks’ description of the future, not a culture war or class warfare, but strife between two generations: an older generation that won’t let go of what it has and a younger generation that has nothing. But Brooks doesn’t fall into such an easy, broad condemnation of an entire generation. Instead, he wisely lays the blame on the larger forces at work in our massive political machine. In his future the AARP has become the most powerful lobby in the United States, while every new medical advancement, from curing cancer to strengthening bones, extends the lifespans of its members and swells its ranks even further. Like a union, corporation, or any other kind of lobby, the organization fights for the benefits of its members at the expense of outsiders. This makes seniors the target of terrorism from younger generations, such as the fictional “Youth for Equality” movement. Brooks’ characters are everyday individuals living out their lives like ants subject to these colossal forces of which they can barely see the big picture. Brooks skillfully weaves the lives of ordinary and extraordinary people into one another effortlessly so that nothing feels contrived. We can understand every character’s perspective, sympathizing with the hopeless youth, established seniors, entrepreneurs, innovators, politicians, and naive terrorists. It is this weaving of personal tragedies that makes the book so effective. I would love to see this book made into a movie, but it does not seem like something Hollywood’s escapist fare could do justice. Brooks doesn’t simplify complex issues into right and wrong. End of life care, assisted suicide, national debt, and a myriad of other issues are portrayed as the abstruse ethical and social conundrums that they really are. If our politicians and pundits had the same clarity of vision instead of postponing our problems down the road, maybe Brooks’ future wouldn’t seem quite as tragically inevitable. A letter to our grandchildren, Raven, Emil and Taylor: I see you growing up into such beautiful people, and I wish all good things to you as you make the leap into adulthood. But I have just seen a documentary titled “I.O.U.S.A.” that snapped into sharp focus why your lives may not be as pleasant as ours have been. Chaz and I had the blessing of growing up in an optimistic, bountiful America. We never fully realized that we were paying for many of our comforts with your money. Several years ago I wrote an open letter to Baby Boomers asking them to clean up their national debt mess before leaving the workforce into retirement. It’s interesting to note that I recieved several critical emails from Conservatives at the time, because it was Bush’s debt then, who told me the deficit didn’t matter, debt was a good thing, and that I didn’t understand anything about economics. Oh how the times have changed. Big Think has an interesting article on how America will handle its aging population, with cities becoming more senior-friendly in an attempt to incorporate the elderly into the productive class.